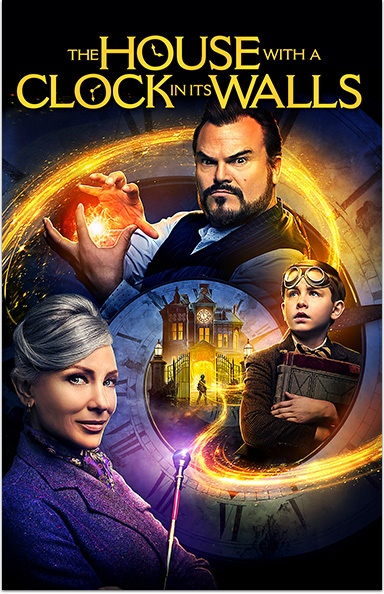 Jack Black and Cate Blanchett star in a fantastical tale of witches, warlocks, and a magical house with a mysterious tick-tocking heart, based on a classic children's book. THE HOUSE WITH A CLOCK IN ITS WALLS © 2018 Universal Studios and Storyteller Distribution Co., LLC. All Rights Reserved.